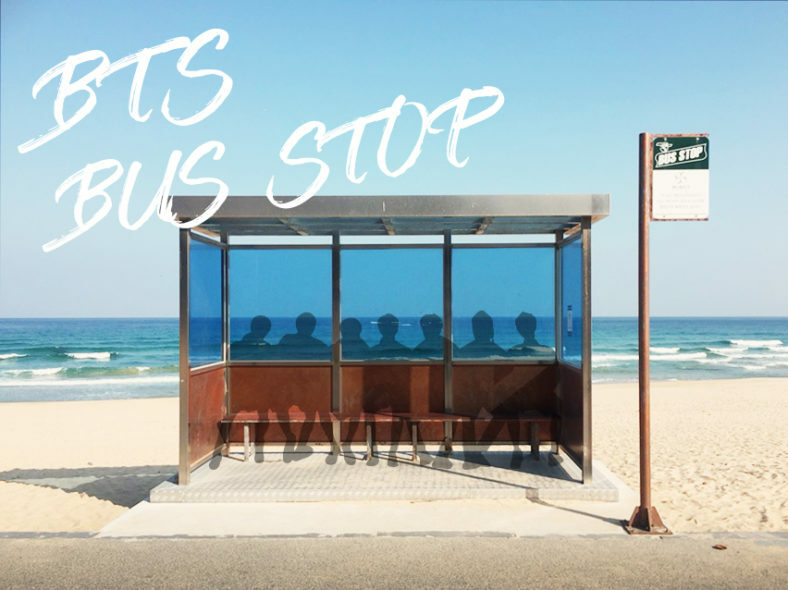 Calling all Goblin Fans and BTS(방탄소년단) Fans! 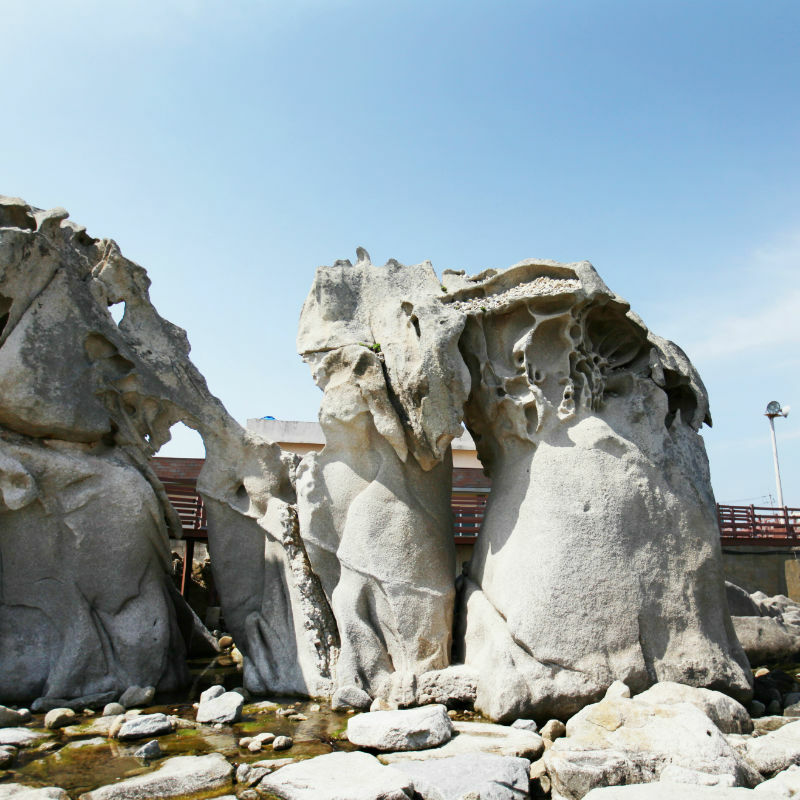 Go on a 1-day trip to Gangneung, in the Gangwon province. 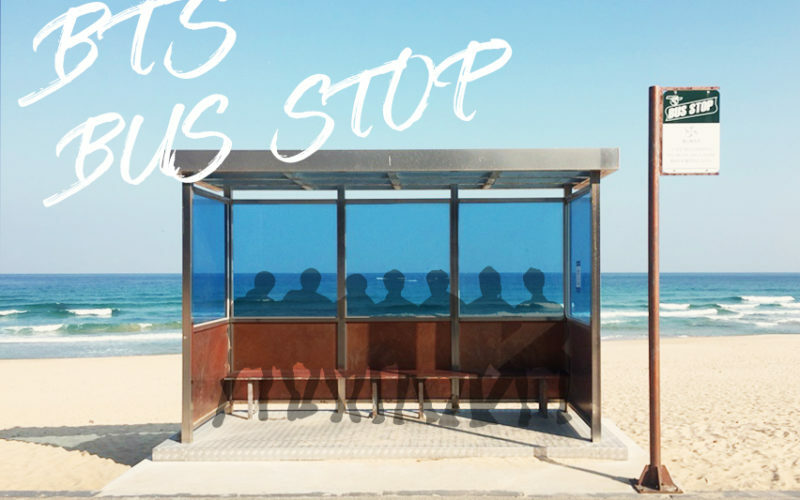 Also, you must visit this BTS BUS STOP which they had M/V shooting here for “You Never Walk Alone” Gangeung area has recently become a popular place due to hit Kdrama Goblin starring Gong Yoo and Kim Go Eun. 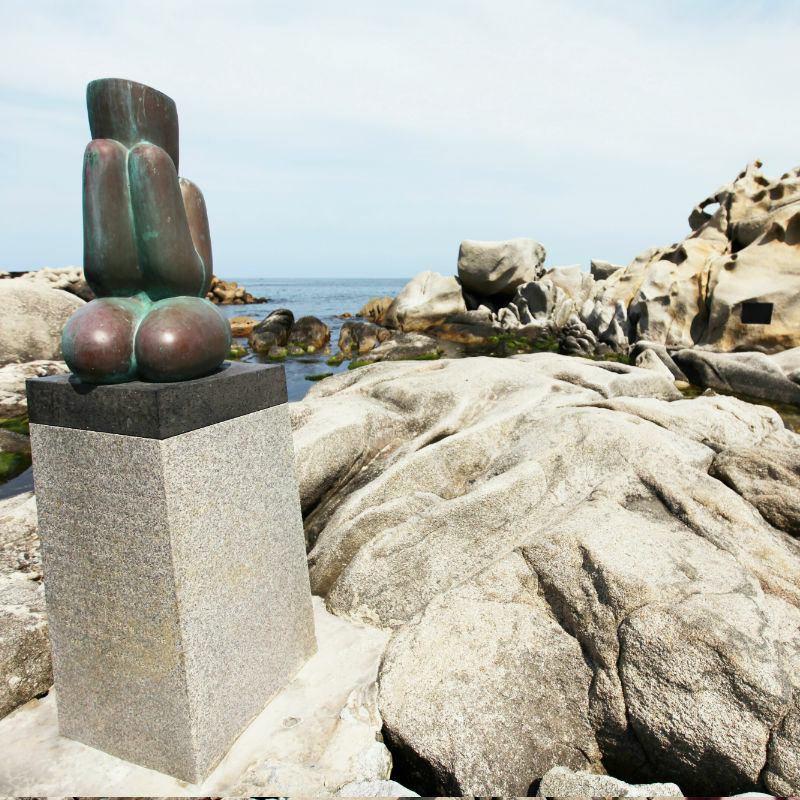 In this free and easy shuttle tour package, go to 6 different places in Gangneung in 1 day! 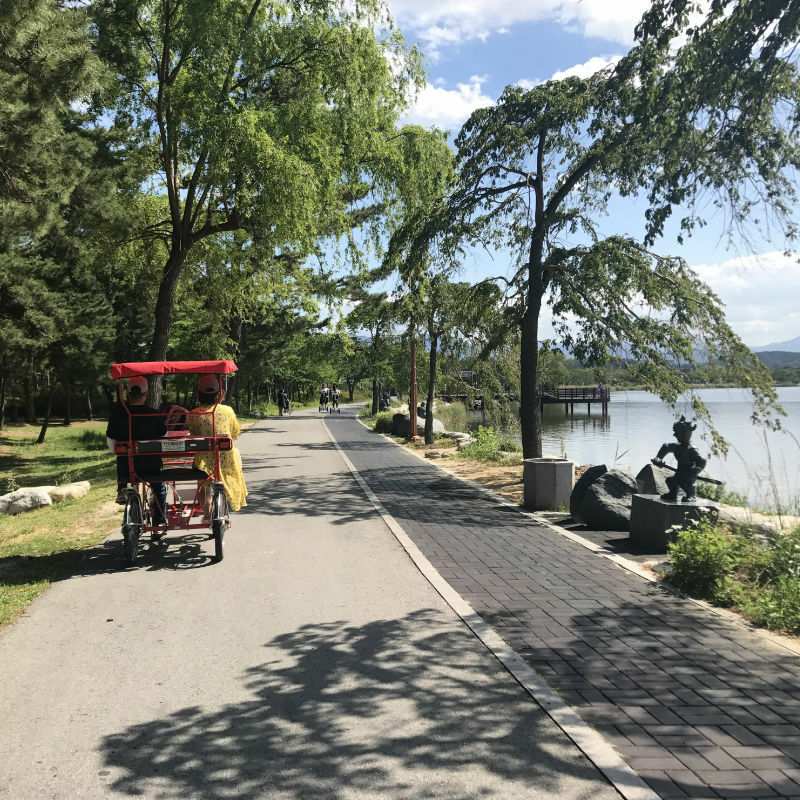 You can enjoy biking (optional) at Gyeongpo Lake, eat good food at the traditional Gangneung Jung-ang Market, glide with the Aranabi Zipline (optional) for 600m over the Solbaram Bridge and the ocean, take photos like the actors in Goblin at Youngjin Beach at Jumunjin (Goblin filming spot) and make wishes at Sodol Adeulbawi Park. 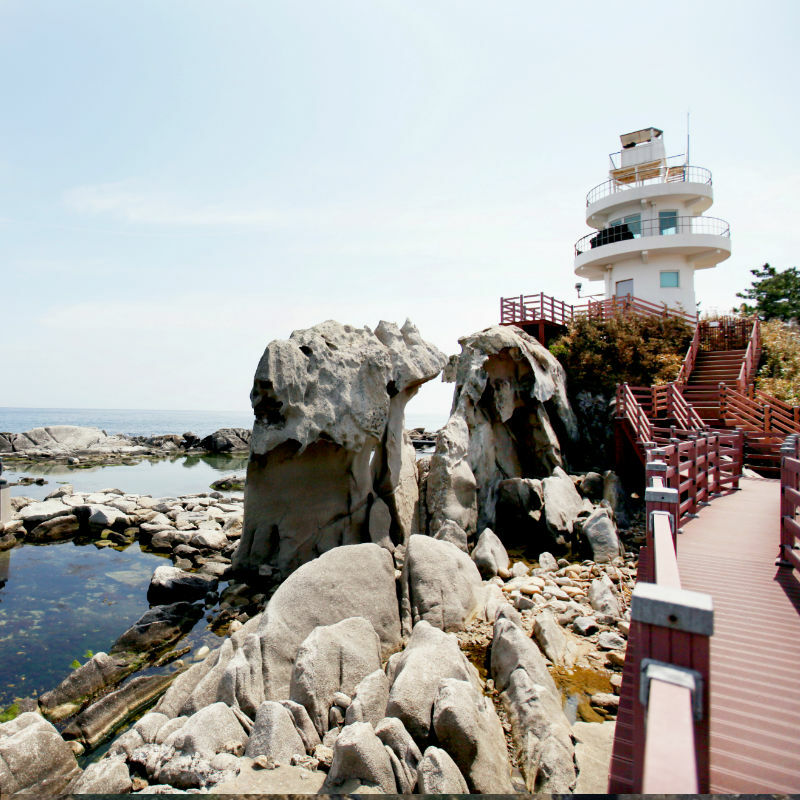 Enjoy this Gangneung tour at a discounted price and don’t worry about how to get to Gangneung anymore! This day tour will take care of all the transportation from Seoul to Gangneunng area! 1. Apr. - 10. Apr. : Everyday Except Mon. 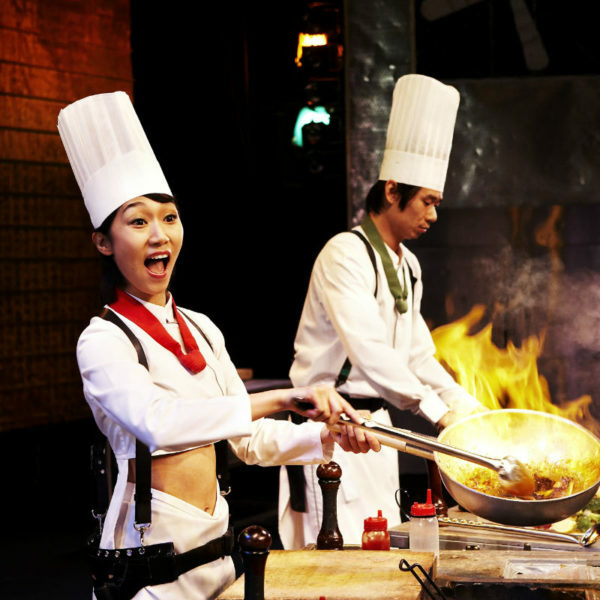 If you do tour promotion period, 3~10 June, you will be applied to promotion. Just book & pay for 1 pax and 2 pax can join the tour! This promotion is available only for “Sightseeing tour” & ” Bike tour”. 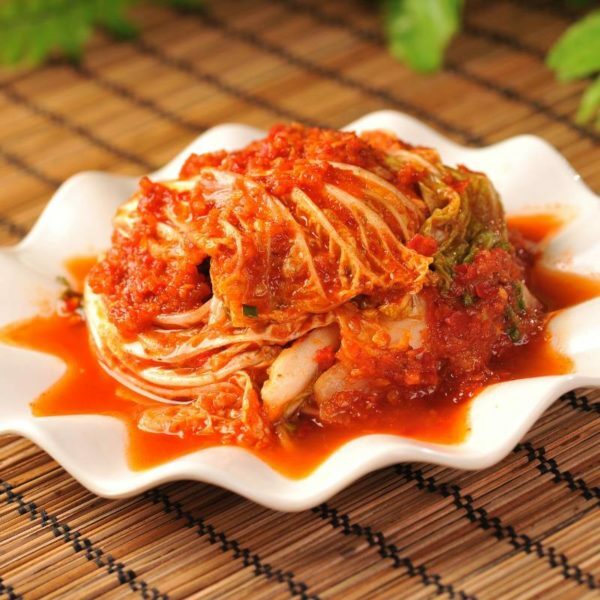 In this period, the itinerary can be slightly changed. 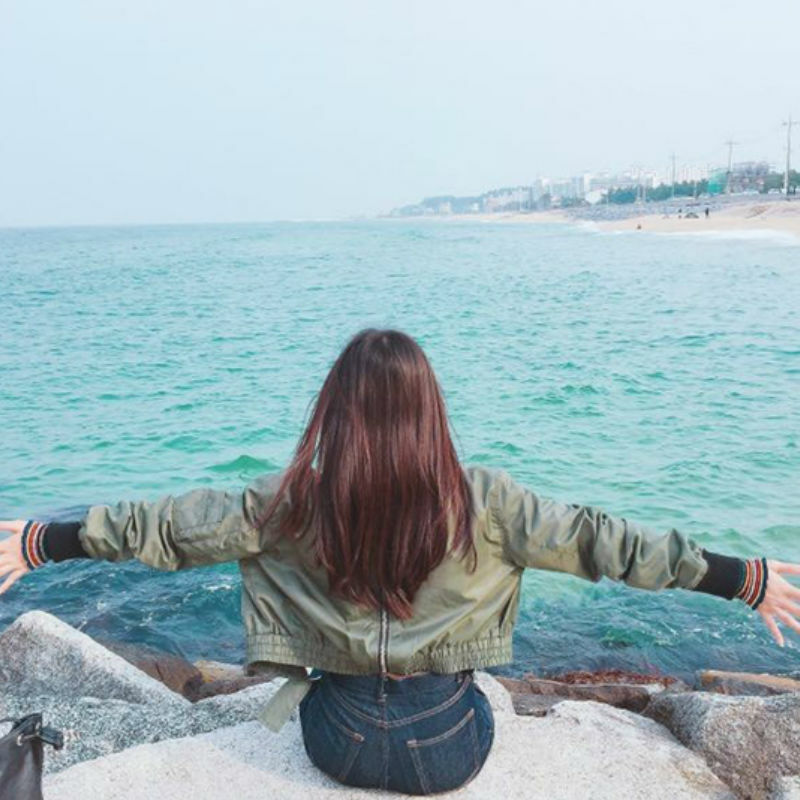 Gyeongpo lake’s name means “clear as a mirror”. The water is clear and it is famous for being tree lined for a nice and relaxing stroll. 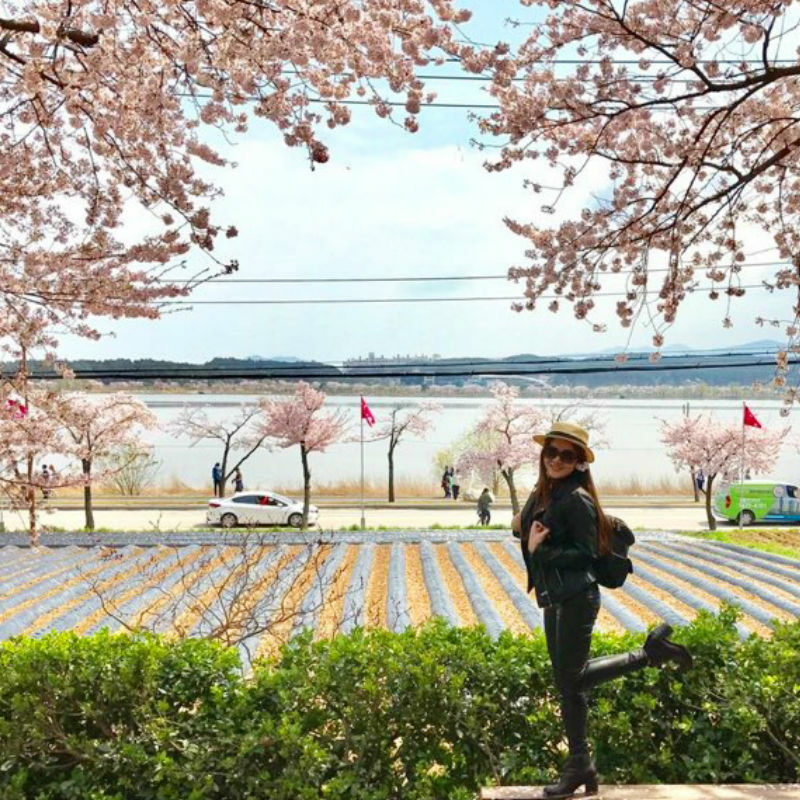 It is especially nice in the spring there are many blossoming cherry blossoms. Other seasons also has its own different viewpoints! It is a large lake so best is it ride a bike to go around the lake without too much effort! Choose the BIKE TOUR OPTION and when you arrive there you can choose different kinds of bikes according to your preference! 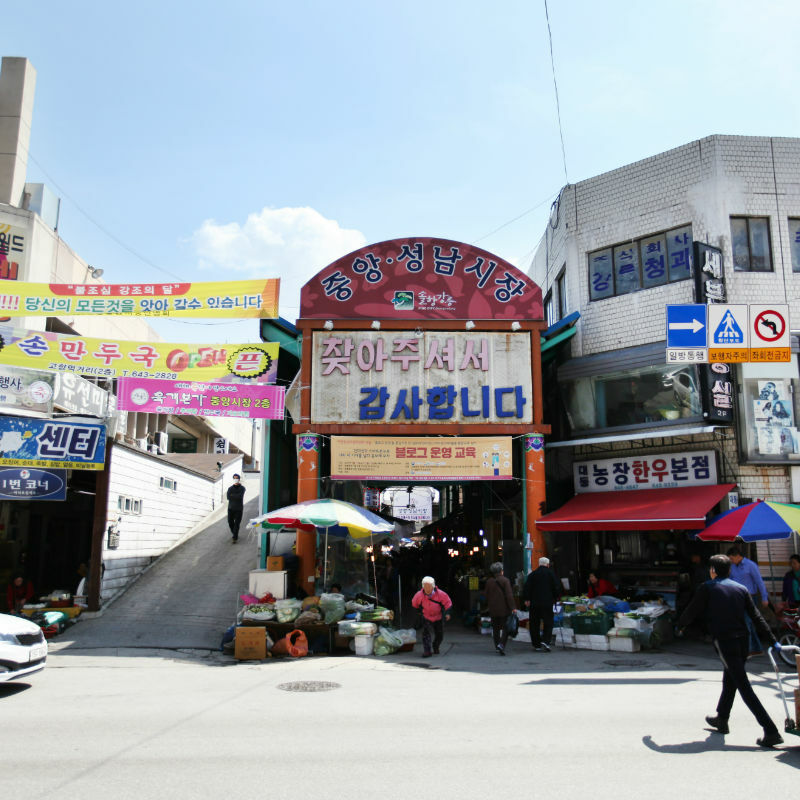 There are several marketplaces in Gangneung. 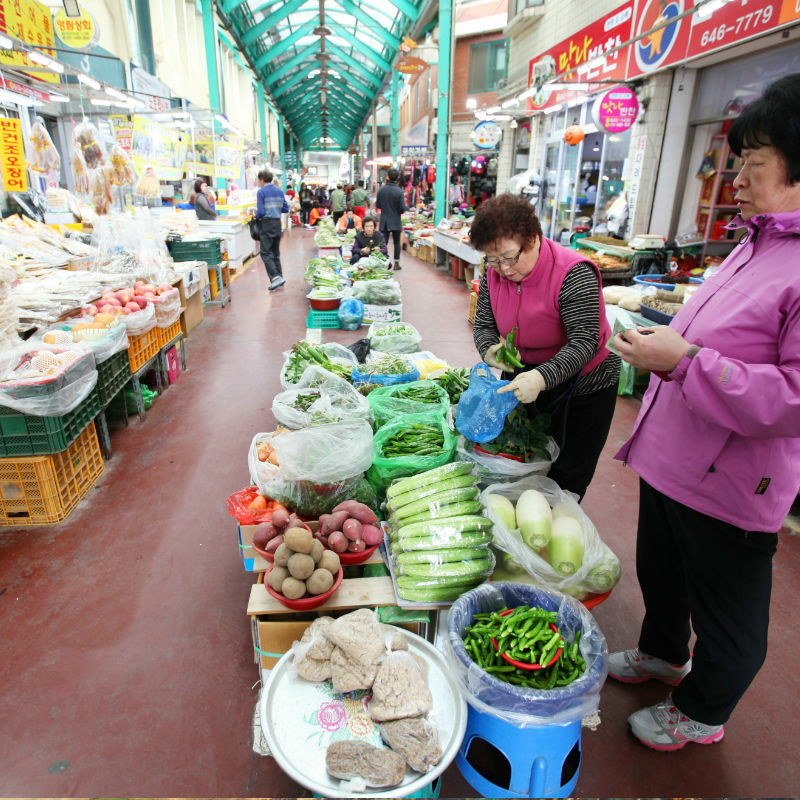 Gangneung Jung Ang Market is located at the center of the city and is the largest one in the area. 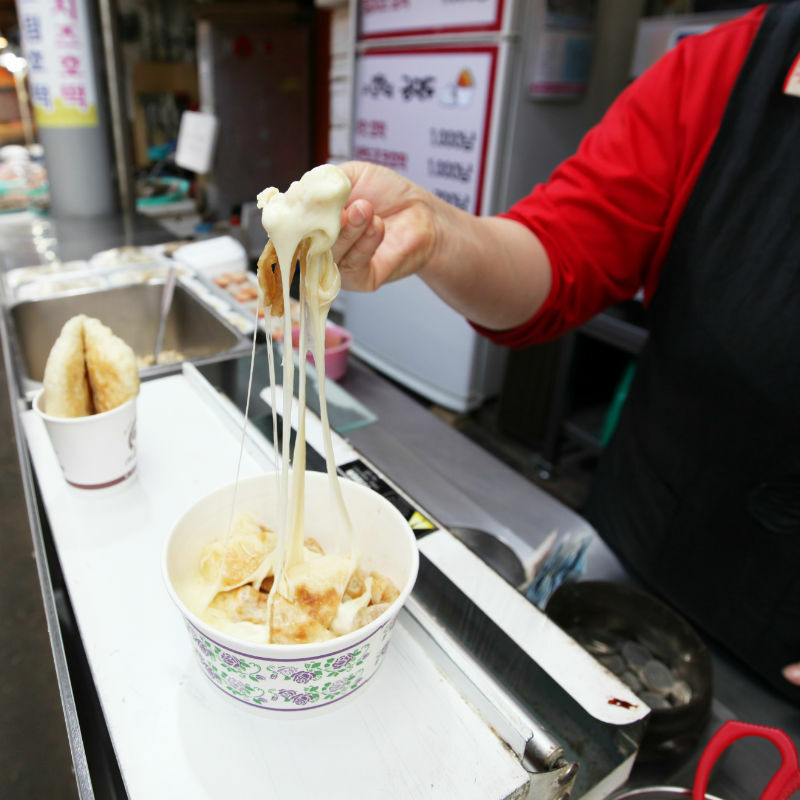 It is a typical Korean market selling all sorts of foods and other goods. 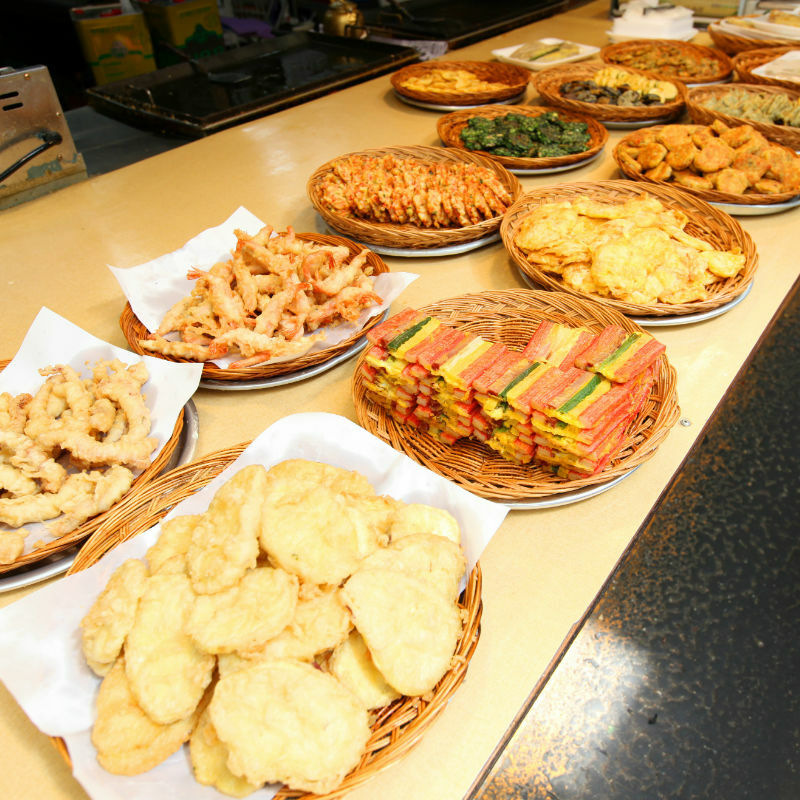 You can enjoy lunch with various kind of food there! 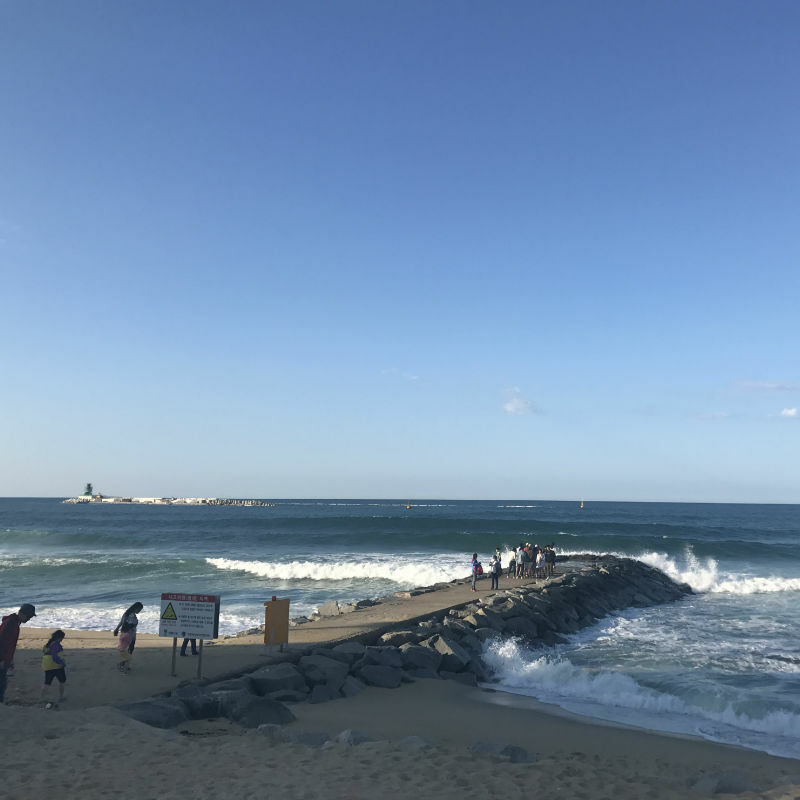 The Solbaram bridge connects the Gangneung port to Namhangjin Beach. 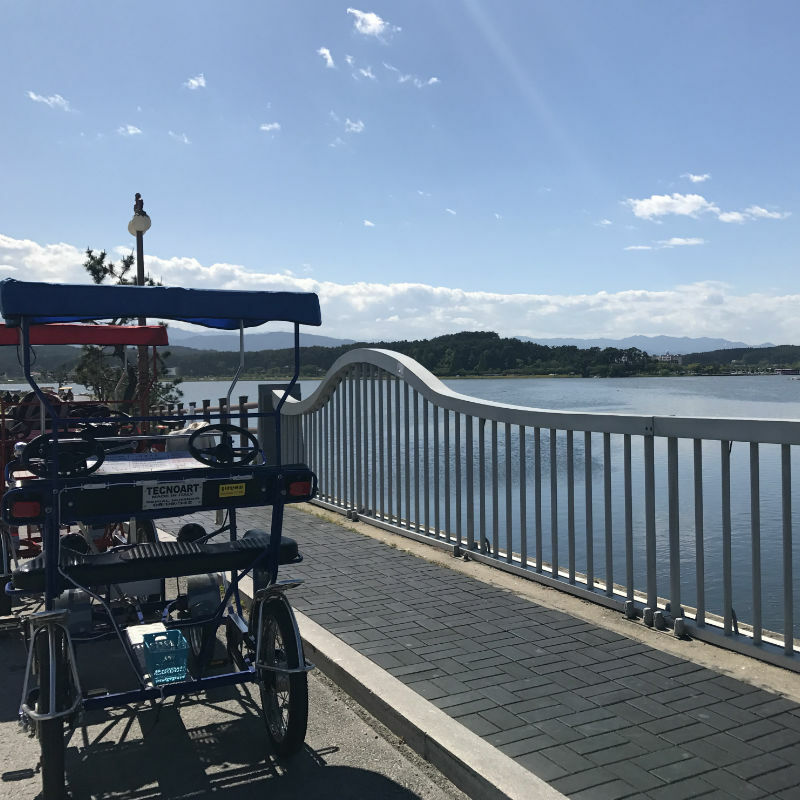 You can go by walking on the bridge, but we recommend to choose the BIKE and ZIPLINE TOUR OPTION and go on the Aranabi Zip-line! 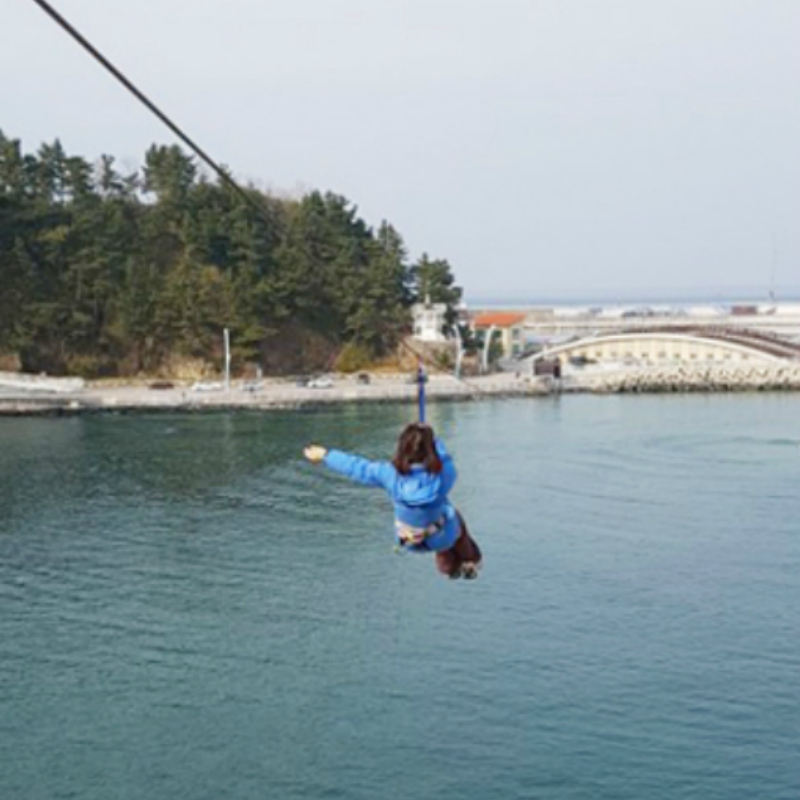 “Ara” means “ocean” and “nabi” means butterfly in Korean, riding the Aranabi zip line you can be like a butterfly flying over the ocean for 600m! The Aranabi Zipline offers a zip line consisting of a pulley suspended on a cable that is 12m in height. 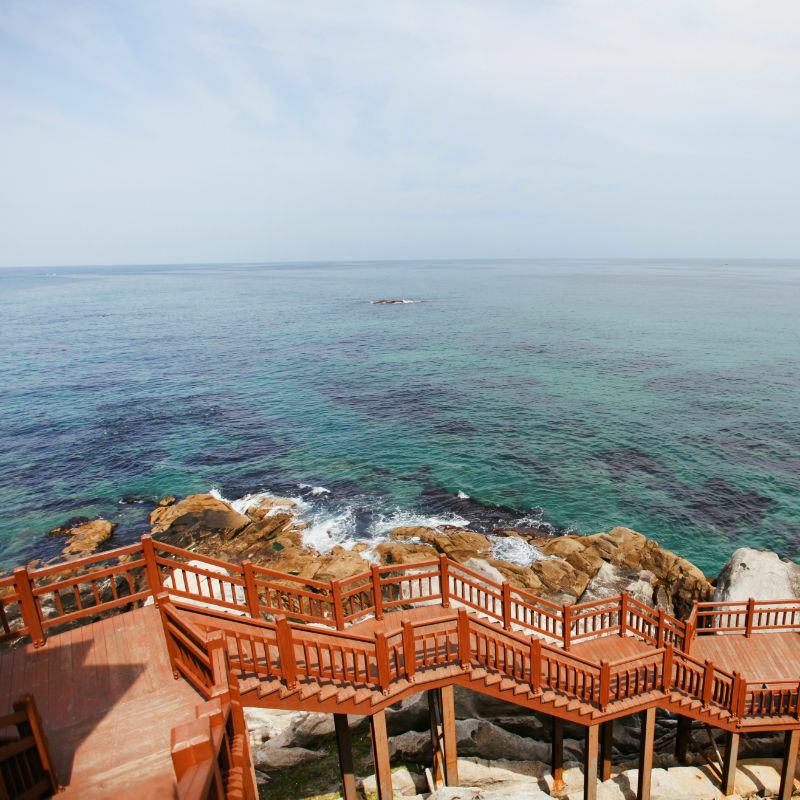 It is the only zip line in Korea that overlooks the beautiful ocean! 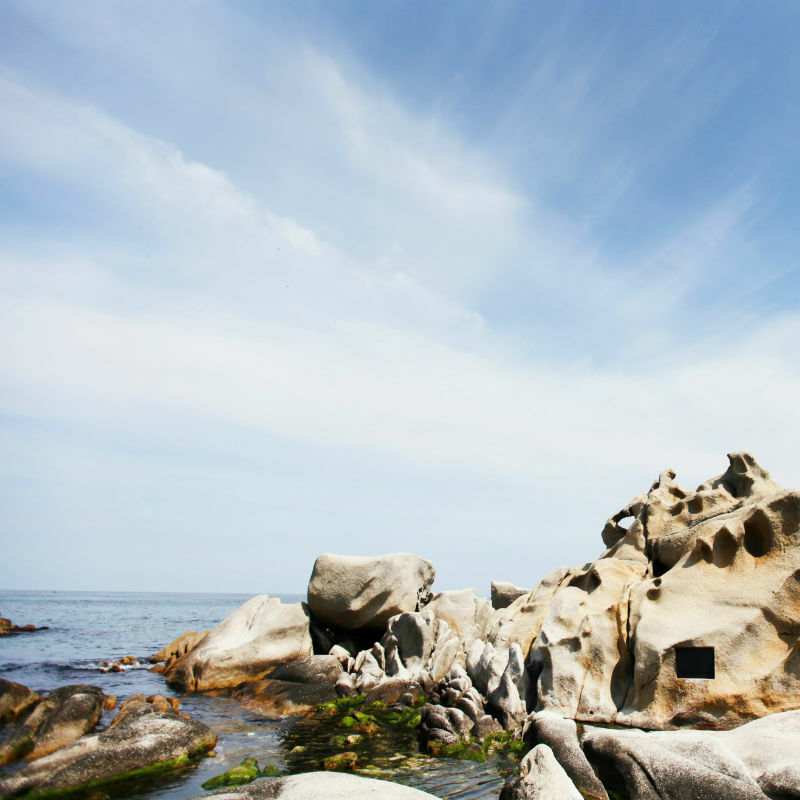 4) Youngjin Beach (Jumunjin) – famous filming location for the Korean drama “Goblin”! 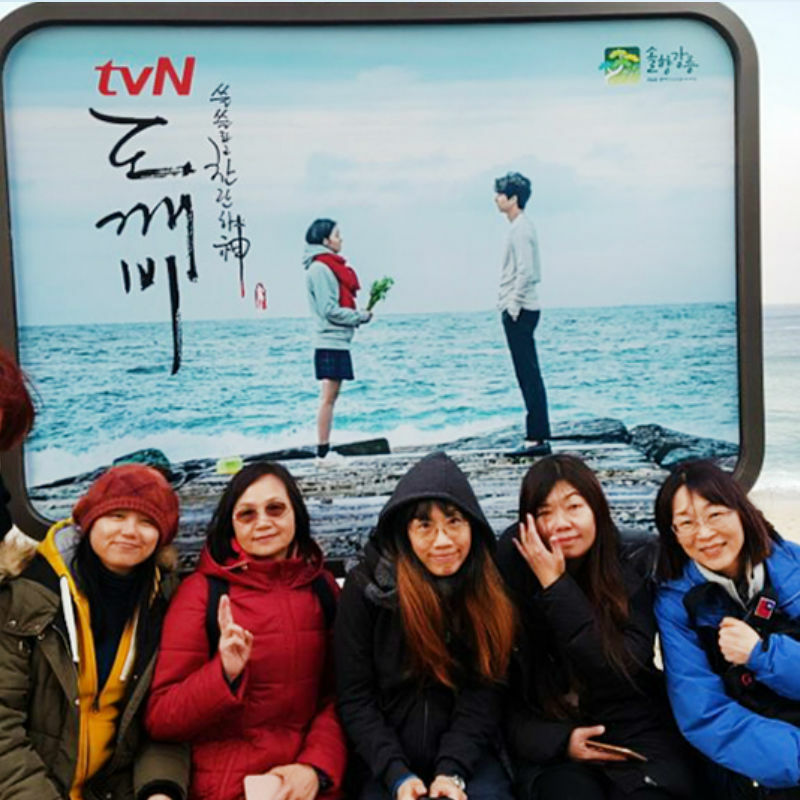 Dokkaebi or Goblin (also known as Guardian: The Lonely and Great God) is one of the hit dramas aired in 2016 starring Gong Yoo, Kim Go Eun, Lee Dong Wook, and Yoo In Na. 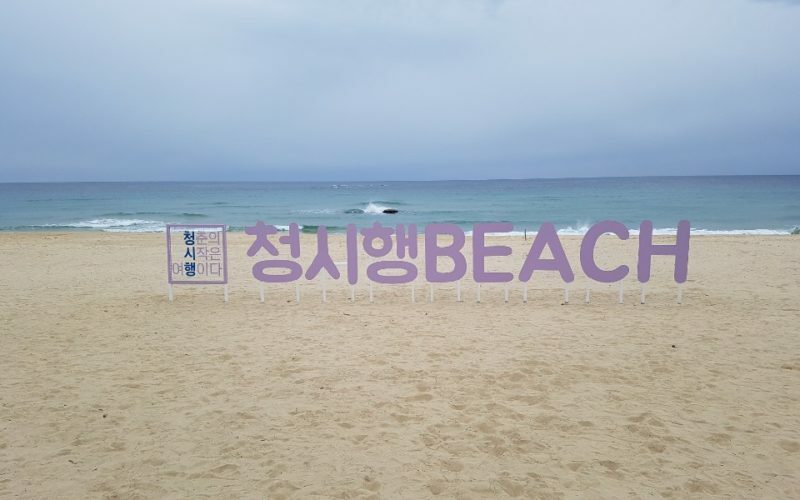 Located at Jumunjin, Youngjin Beach is part of the iconic scene in Goblin. 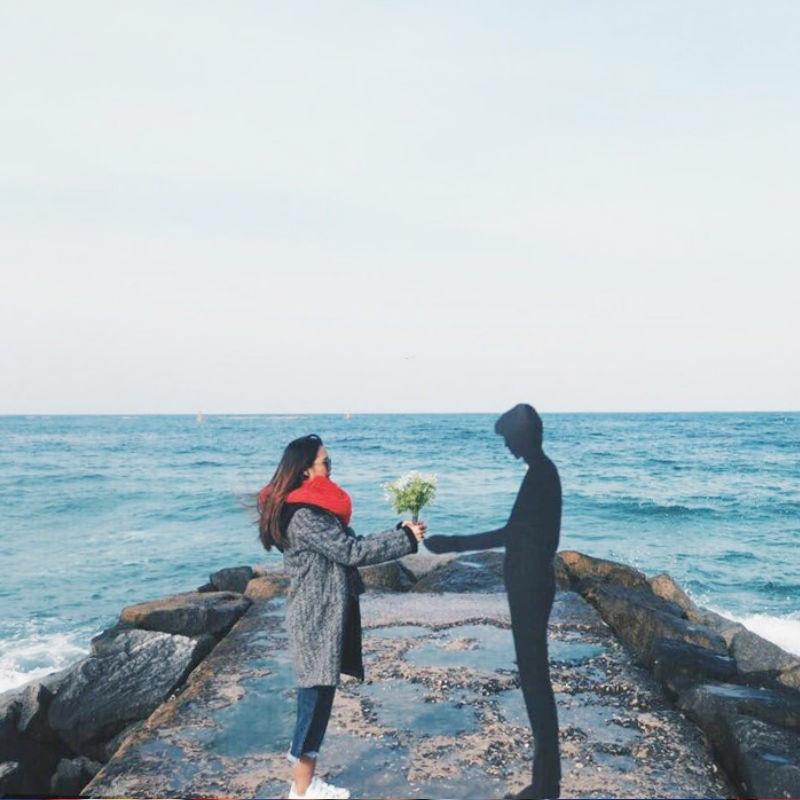 In episode 1 where Eun-Tak (Kim Go Eun) first summoned Golbin (Gong Yoo) by blowing out her candles, and suddenly he’s standing there by the sea with her, asking if she’s the one who called him there. 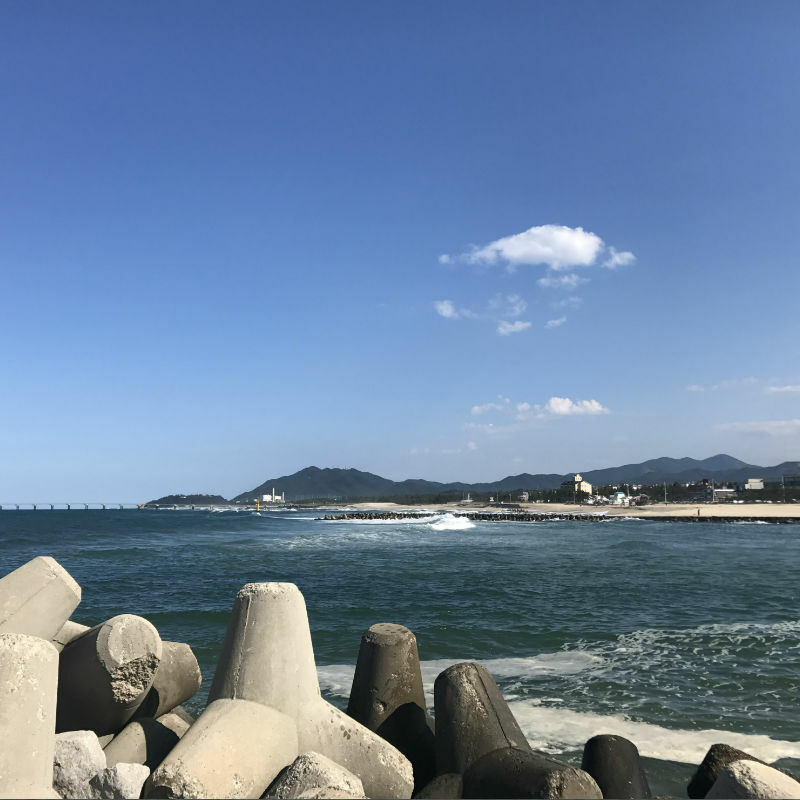 This place has always been great for photos: known for its gorgeous beaches and blue waters, Youngjin Beach offers visitors breathtaking views of the ocean. 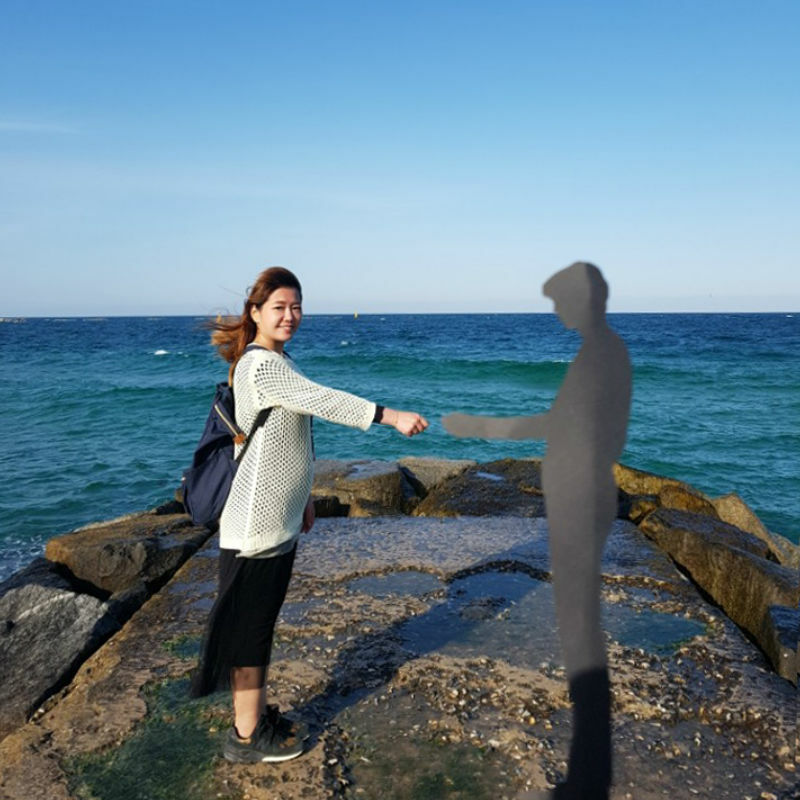 You can also rent the props from the drama and pretend to be Gong Yoo and Kim Go Eun! 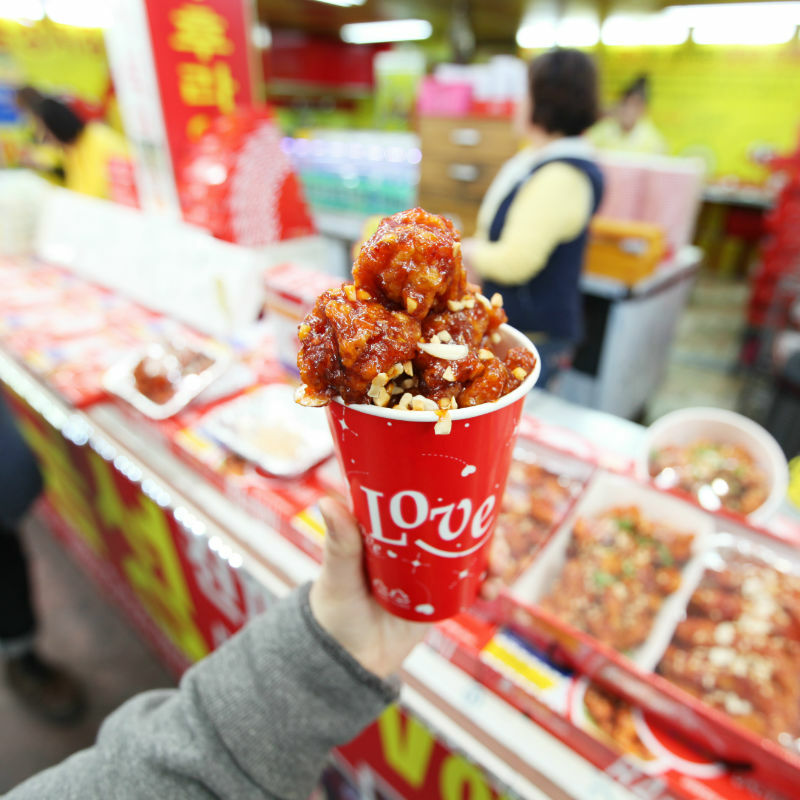 * Adults and children are the same prices per person. * Children under 3 years old who will not occupy a separate own seat are free of charge. 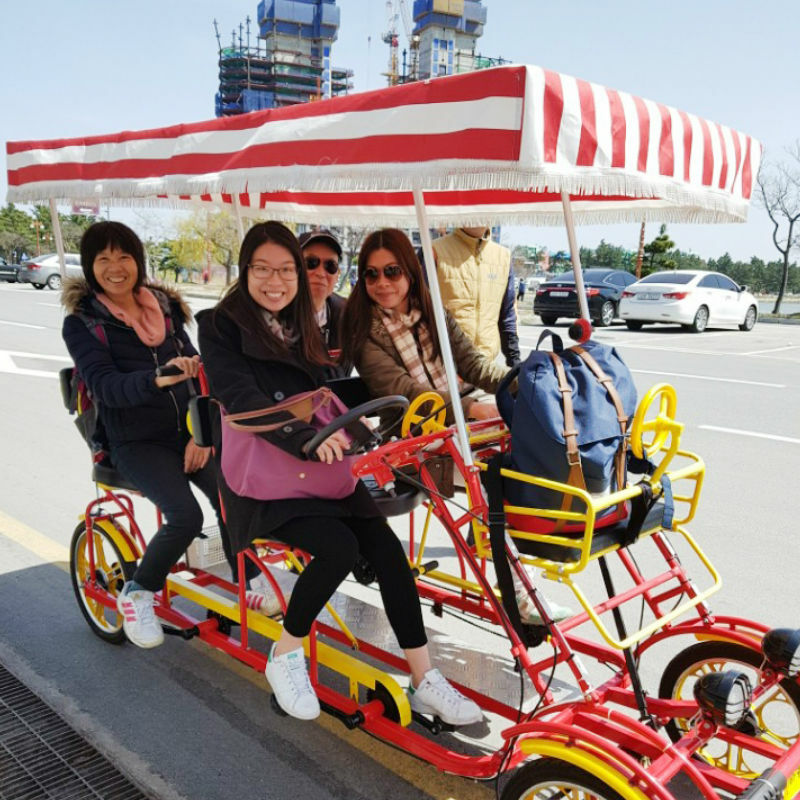 * If you want to add options (bike tour, zip-line) on the tour date, please inform and pay directly the staff (bike tour: 10,000 KRW, zip-line: 20,000 KRW). Traveling time may take as much as twice the time on weekends and holidays due to heavy traffic. Bike: Several types of bikes are available for rental, such as family bikes, couple bikes, etc. I really enjoyed. The moment we take picture and service is awesome. I do recommend this tour to all people out there. 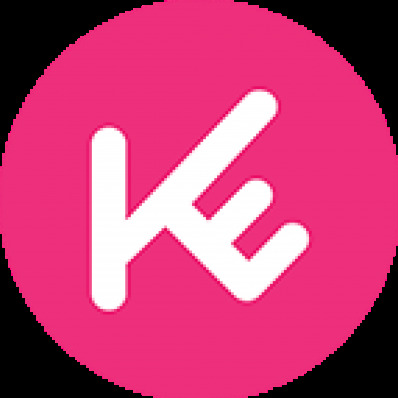 Thanks to provide this great service. 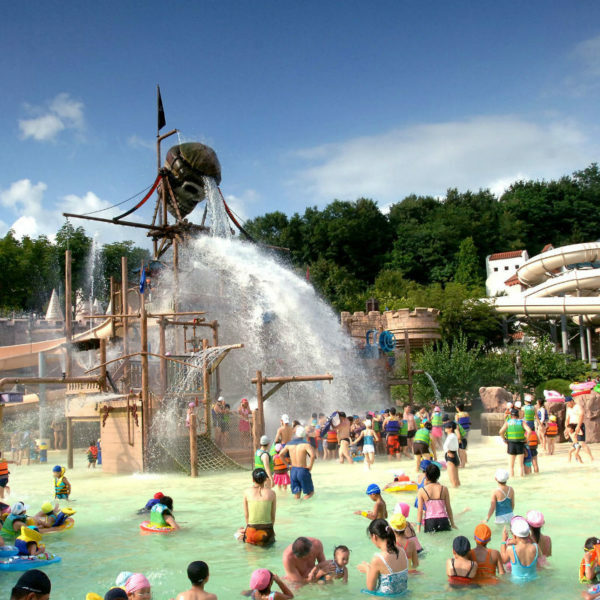 A great day tour for families and couples who are looking for an adventure outside of Seoul! I loved the tour! It was really fun and we went up to 6 places in a day. Great for families and even couples. 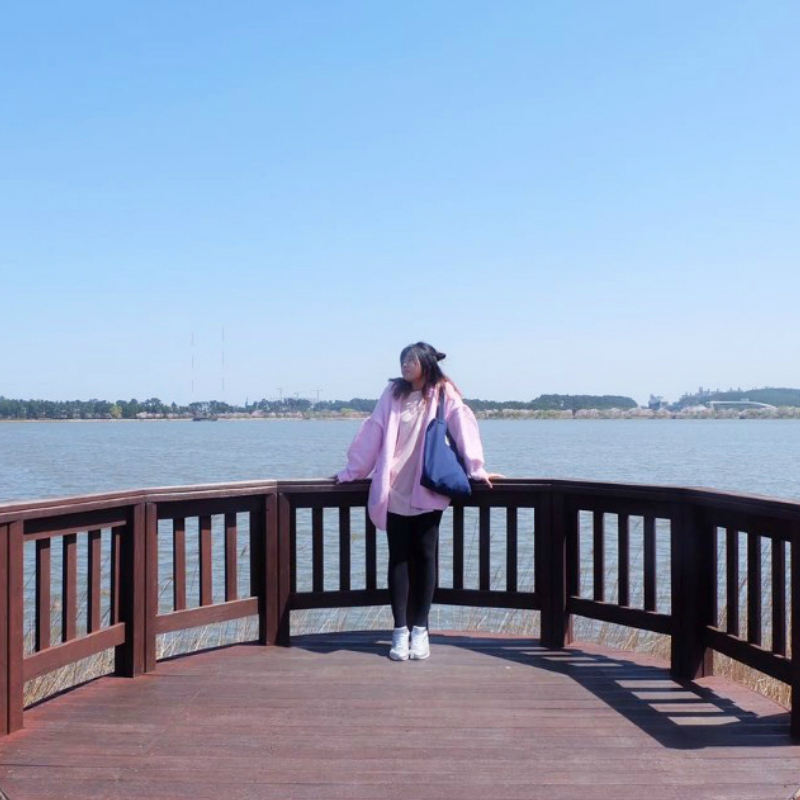 There are many interesting sights and place to take photos in, perfect place to create wonderful memories. Logistics was well thought out and smoothly carried out, we were given chances to rest and ample time to explore. 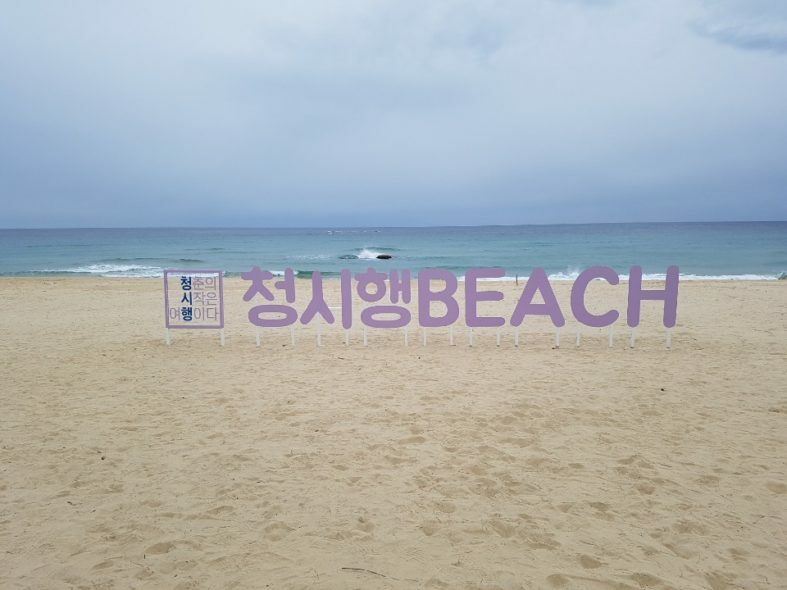 The most interesting place was the Youngjin Beach which they filmed the movie Goblin. Tour guide was great and could speak korean, english and chinese. 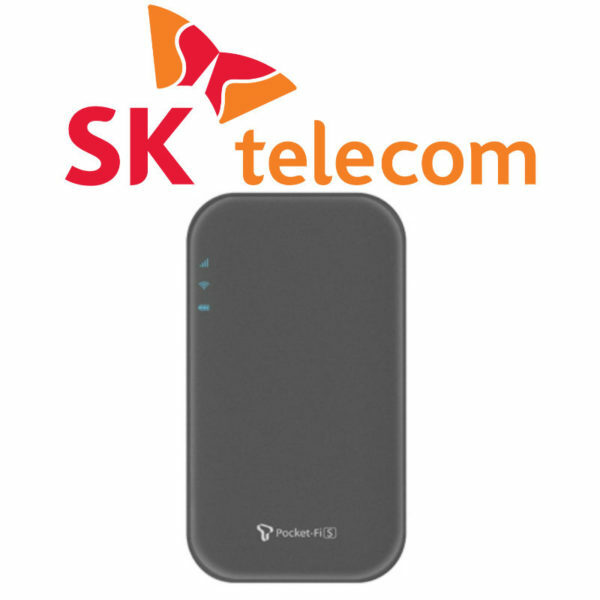 Would recommend to any family who visits Korea. 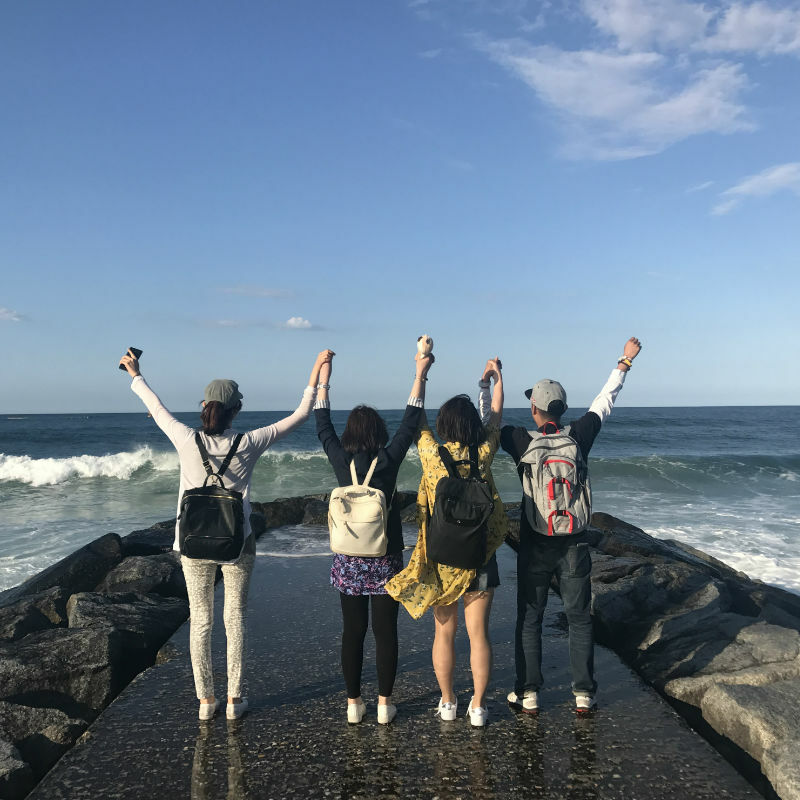 Tour on 3~10 June,1+1 promotion! Just book & pay for 1 pax and 2 pax can join the tour. It's available only for "Sightseeing tour" & " Bike tour"